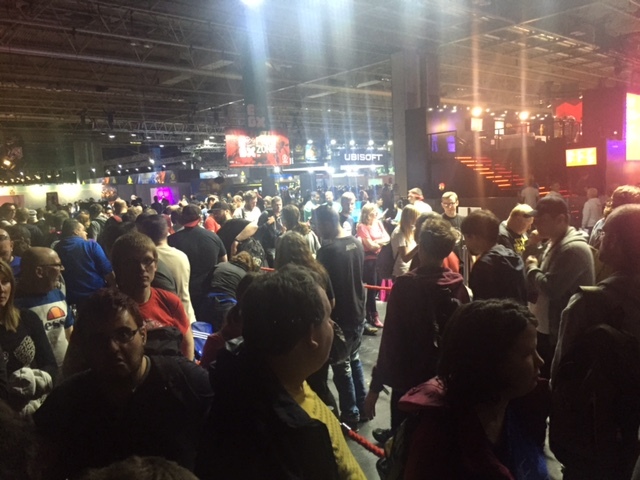 EGX 2015 had one heck of a line up of games, and in the 3 days we had there we did get on a pretty decent number. So with that here’s our picks of the best, worst, biggest surprises and best and worst moments from EGX 2015. Can I pick Murr loving the Xbox One stuff? 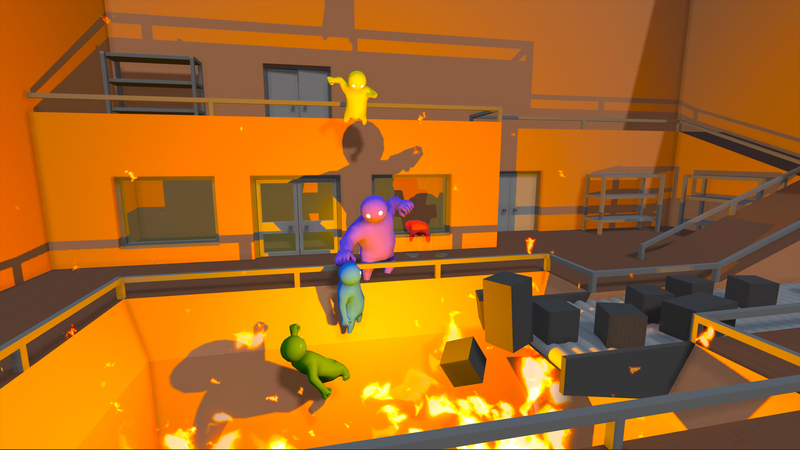 It’s probably a toss up between Warhammer: End Times – Vermintide and Gang Beasts. I knew a little about Vermintide, but not a lot. But getting hands of with it let me see how much fun it was. It’s gone from being a game I know a little bit about to a game I will probably get. Also Gang Beasts was a complete surprise. There was a huge crowd gathered around the one small screen, wires and controllers everywhere, people laughing and basically have a blast. We needed to see what the fuss was about. What’s also a pretty big surprise was that the game was actually released last year. This game would definitely be a lot of fun for some casual playing with a few drinks! In terms of games that we played there wasn’t really much to get disappointed about. We picked the games we wanted to play. 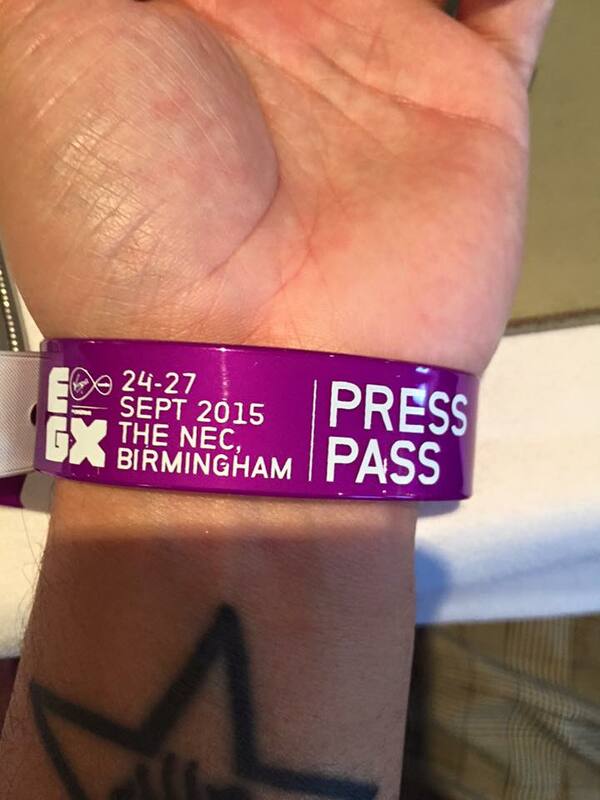 What was disappointing about EGX 2015 was a combination of staff and underestimation. It was more so the NEC staff that were disappointing as they didn’t appear to care about any questions you had, they just wanted to herd you into the hall. We had press passes and had a designated press entrance into the arena. When trying to ask NEC staff where that entrance is, they couldn’t care and just told us to queue up in the normal area. Had we been told that there was a press entrance further up the NEC we could have got onto some larger games quicker. And secondly 2015’s games are pretty huge, game publishers on show there must have known that their games would be popular, but they didn’t really accommodate for the volume. Need for Speed, Mirrors Edge, The Division, Halo 5. Tomb Raider… If you didn’t get straight to those booths first thing in the morning you were in for a minimum 3 hour wait. I can’t remember queuing anywhere near that long at EGX last year on the massive games there. Last year Far Cry 4. 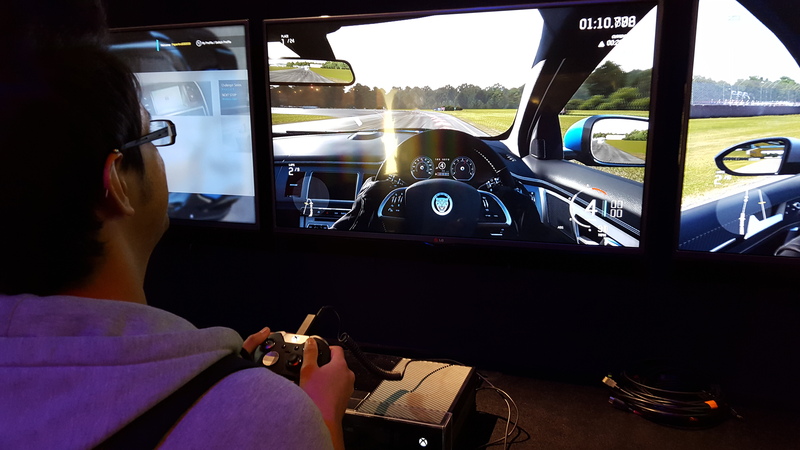 Alien, DriveClub all had a lot more available stations to play on. And even some of the smaller games from Sony and Microsoft were popular this year with Tomorrow Children and Cup Head only have one screen each. Pretty ridiculous really. Like Murr I’d have to say the queue times. It just didn’t seem like they knew the demand for some of the games. Call of Duty had a pretty huge booth, but the queue didn’t seem like it ever got very big. Where as The Division had a small area in comparison but was one of the busiest games. This was our first press pass to a show like this. We were pretty excited by this and had jokes between ourselves that we were big shots and such… you know, we’re proud I guess that we’ve got so far in 2 years to finally earn a press pass. Well on the Friday near the end of the day we didn’t want to queue for a game as we were waiting for the Elite Dangerous developer session. So we waited by the Mirrors Edge booth, right near the front of it. We didn’t really want to play it. The staff operating the front of the queue must have glimpsed the wrist bands (or were attracted to us as they were female) and asked if we wanted to try out Mirrors Edge. We replied we didn’t have time to queue up due to the developer session, but they suggested we cut the queue to the front and get the next round on. We obliged and cut the queue much to the dissatisfaction of the lads behind us. I felt pretty amazing, but also felt bad for the guys behind who must have been queuing for at least 2 hours for this game. Maybe it’s something we should get used to if this site gets bigger? Was a great moment though. I think just being there with the Press Pass was the best moment for me. I know it doesn’t really grant you anything special (not normally anyway). But it just felt really good to actually get accepted for them. Other than that sitting in on the developer sessions and QA’s with such gaming icons was pretty amazing too. Both David Braben and Shuhei Yoshida are legends of the gaming world and to be so close to them and hear them talking about subjects they’re clearly so passionate about was great. You’ve probably read my thoughts on Home Front: The Revolution on our day 1 write up. It’s not a terrible game. But it’s not a great game either. Of all the games we played during the 3 days Home Front: The Revolution was the worst game I played personally. I think I’m going to have to agree with Murr on this one. I was looking forward to trying out Homefront having liked that series so far. But this one just felt odd. It was sluggish and none responsive, the gameplay felt a little bland, and for an open world game where you can tackle objectives how you like it just felt a little empty. Maybe I’m being a little harsh on it as it is still in development, but it just didn’t grab my attention. Halo 5. There I said it, The best game I played at EGX 2015 was Halo 5. The multiplayer mode we played was absolute carnage but at it’s finest. It played just how I remembered Halo multiplayer to play. I hadn’t missed a trick in my Xbox absence and managed to have a nice spell of dominance obliterating the opposition team with my mech. It felt good, It played good and I enjoyed the time spent on it. I’m going with The Division for this one. Halo 5 was awesome, but having played the beta of it a while back I had a pretty good idea of what the core gameplay would be like. With The Division however, we’ve only seen a few demos of it, and I was really eager to try it out myself. I hoped that it would be as good as it looked and I was not disappointed at all. The gameplay was fun and felt solid. I liked the emphasis placed on teamwork and I loved the way it looked. This game is easily my most anticipated game for next year! That reminds me of last years queue cutting i did, and i didn’t have a special pass. I jumped the queue for The Crew, the presentation of AC-Unity and DriveClub. All because they needed 1 person, and everyone wanted 2 or more seats. I did cut the queue on Battlefront as well, got a place ahead of 15 other people. But hey ho, nice read none the less. I didn’t get a chance to go on the Xbox booth due to queue times, but i plan on doing 3 days next year. So will spend at least a day on the Indies as i missed out on a lot. I had a similar experience with the NEC staff… We also had press passes (high five!) but the staff near the entrance were borderline shouting at us to just go into the normal queue when we asked about getting in. They were very unhelpful and it was incredibly frustrating considering we’d been told previously that we could just waltz in at 10. Will be sure to check out your EGX wrap up when your done. It wasn’t until we met up with the guys from 1001up who told us about the press area at the back of the arena which had its one press entrance. Never mind, lesson learned for next year.